A little over ten years ago, my parents sold our tiny suburban childhood house and moved out to the countryside. We girls, frankly, thought they were a little crazy to be moving so far away from the community. But once all their kids were grown, it was only fair that they live how and where they wanted to live, and Dad has always wanted to live out in the country, closer to the land. The "new" house (it's still seems new to me, since I've never lived there) is an open contemporary style, with plenty of woods around it for privacy, set in an older development near farms and down the road from some wonderful small towns. So Tsia and I are visiting my parents and enjoying some time in the country. 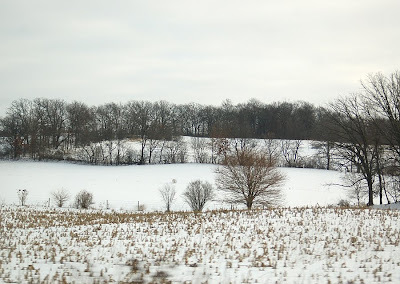 Over the years that I lived in Wisconsin (from age 6 until I left for college) and since I've returned to visit my parents, I've grown to love the landscape around Madison, especially in the fall and winter. 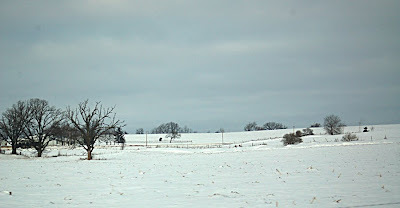 I love the soft, rolling hills of the farms and the barren winter woods. 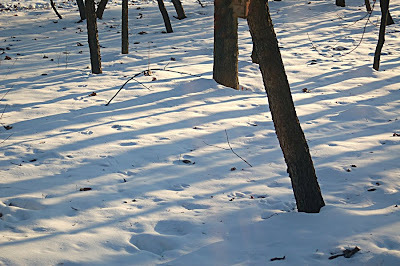 I find the subtle neutral earth palette to be inspiring: the shades of brown and beige in the dried grasses and plants, the grey and soft blue of the sky, the darker brown and grey and black of the trees and old barns, the whites and blues of the snow and the cast shadows, and the way the colors all work together in the landscape. Today the subtle colors felt to me like starting the year with a clean palette, ready for new adventures and new colors to layer on top. 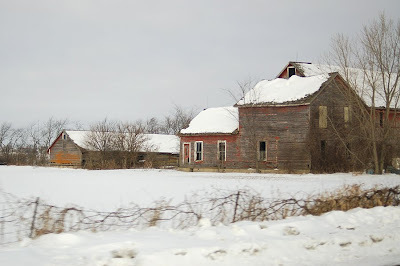 These photos were snapped out the window of the car this morning on our way downtown. Pretty, yes? And when you're in Wisconsin and find yourself in need of bright colors and lights, you sometimes need to find them indoors! Until today I had never ice skated on an indoor rink; we grew up with a terrific skating pond just down the street from our house. But when the weather is as cold as it's been (mostly in the single digits, which is well below freezing for those of you who measure in celsius) you take your winter sports where you can find them. It took me a few minutes to find my "ice legs," but they're still there! 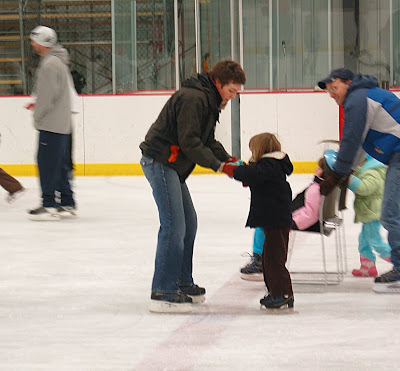 Tsia is working to develop hers, and the rink provides chairs for kids to push around to offer a little assistance. She'll be a steady Wisconsin skater in no time! Negative temperatures? Brrrrr. I thought 30 was cold. Beautiful simple clean photos. We spent a few days in the Sierras with similar colors. Winter makes me happy, sometimes. Other than the cold, I love Madison, too. I've been on the east coast for 20+ years. My mom moved there a few years ago from a small town in Illinois, and my sister lives in a small town outside Madison. Every time I visit the rolling hills, farms, and lakes I think "I want to buy some land here." That last photo is just about as precious as can be.